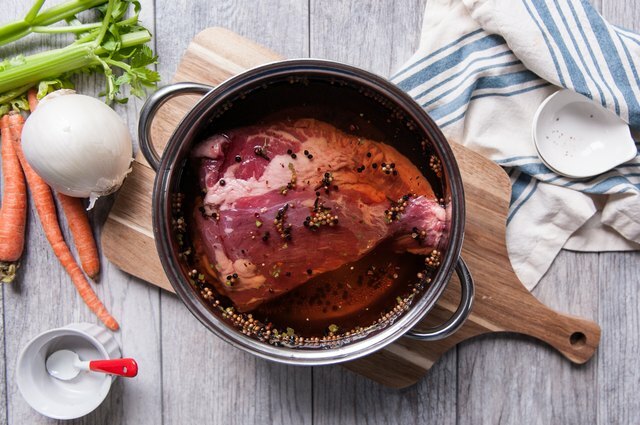 Vibrantly pink, slightly salty, well-spiced, and tender, this meat recipe is so perfect, it has changed very little in the past several centuries. 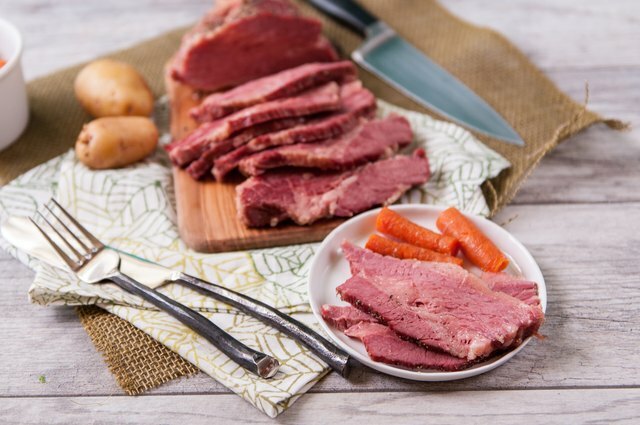 From the delis of New York, to pubs in London, to the tables of Irish expats all over the world, this is a recipe that has earned a space in the hearts of meat lovers across the globe. 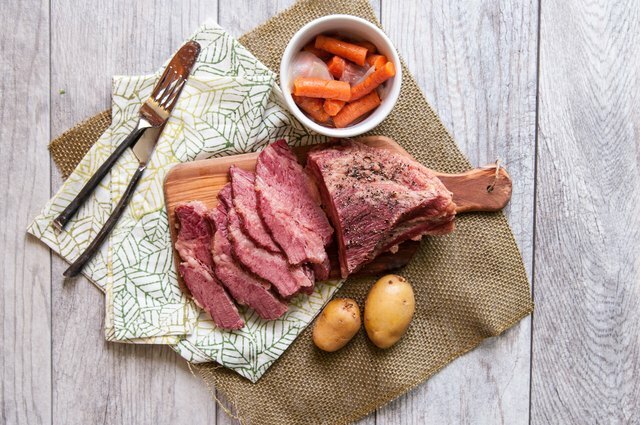 Whether you plan to serve it along side cabbage on a Saint Patrick's Day menu or piled high on toasted rye bread topped with sauerkraut and smeared with grainy mustard, curing your own gorgeous brisket is well worth the effort. 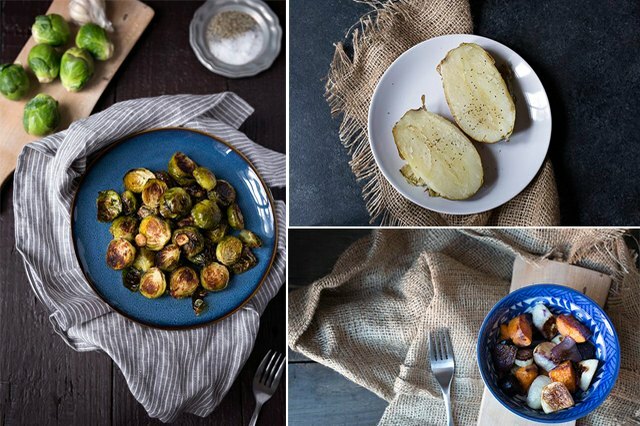 It's an easy task, even for a novice home cook, and while the rest time is considerable, the active time is quite small. It's a recipe you'll only need to make once to realize that you need to make it again, at least once a year. Pink curing salt is not essential but will give you the deli flavor you want and the bright pink color. It goes by other names such as Prague Powder, pink pickling salt, or sodium nitrate, and is available at specialty stores and online. 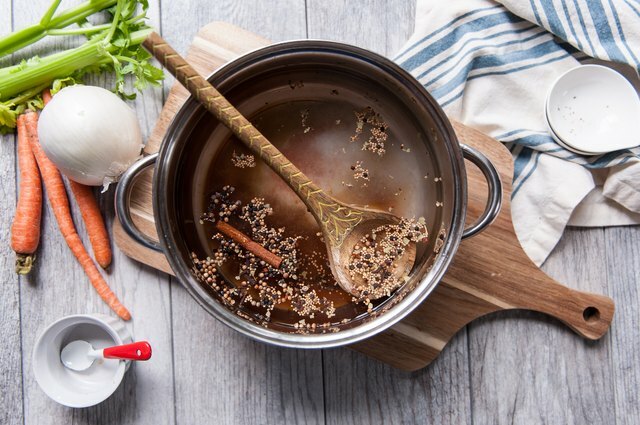 In a large pot add the water, sugar, kosher salt, curing salt (if using), cinnamon stick, cloves, all spice, mustard, peppercorns, ginger and bay leaves. Cook over medium heat until the salt and sugar completely dissolve. Remove from heat and allow to cool to room temperature, then chill until cold. Add the brisket to the brine, making sure that the meat is completely submerged. This can be done in a large zip-top style resalable bag, removing as much air as possible. 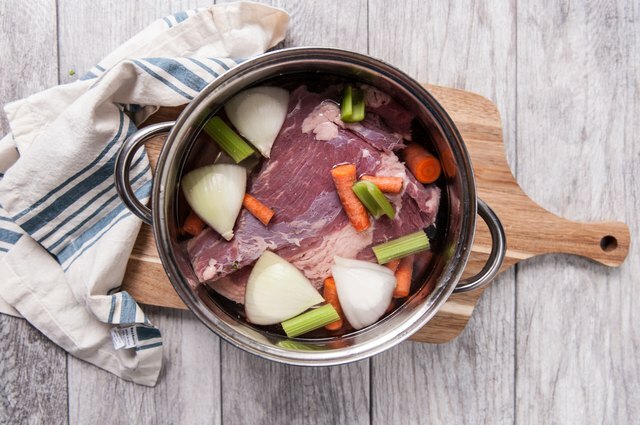 Alternately, you can use a bowl just large enough to fit the meat -- but be sure to use a heavy plate or can to help submerge the meat. Cover and refrigerate for 5 to 8 days. Remove from brine and rinse well. Place in a pot just large enough to fit the meat. Cover with about 1 inch of water. Add the onion, carrots and celery. Cover and bring to a very low simmer (just a few bubbles breaking at the surface every minute or so), and allow to cook until the meat is fork tender, about 3 hours. 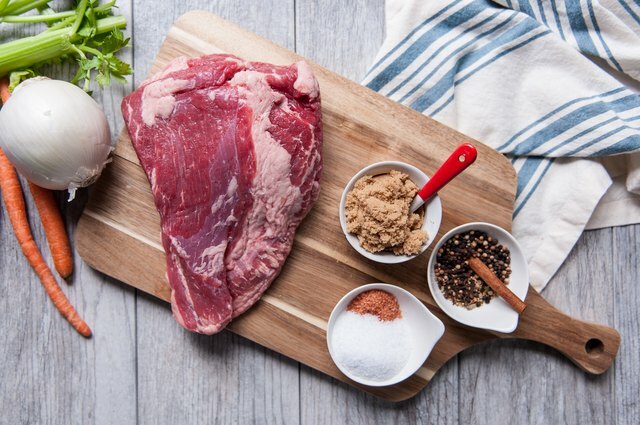 Remove the meat from the pot and place on a cutting board. Cut across the grain into thin slices. Serve warm.